Captured below, a long exposure image of the incoming tide starting to submerge the concrete boat ramp at Grantville on Westernport Bay. Due to the long shallow nature of the ramp the “goal posts” are used as a guide by boat owners to help prevent boat trailers from being driven over the sides or end of the ramp and into the mud/water. 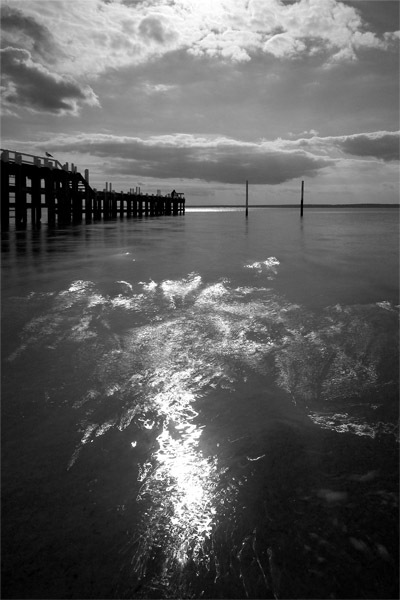 Below – The boat ramp fully submerged with the Grantville jetty to the left and the sun shimmering on the foreground water.